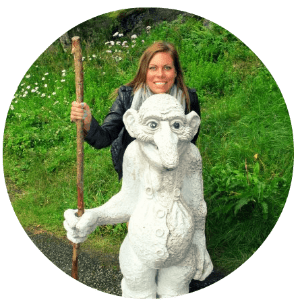 Most travelers familiar with Eastern Europe are aware that the farther east you head in any of those countries, the more ‘Russified’ the place becomes. This doesn’t necessarily stand true for Central Europe or the Balkans, two regions often classified as Eastern Europe (and it kind of bothers me), but rather for Ukraine, Belarus, the Baltics, and the tiny country of Moldova. I find it fascinating that cities in one country can be so completely different from one another. Perhaps that is why I love this region- it is as diverse architecturally as it is cultural. 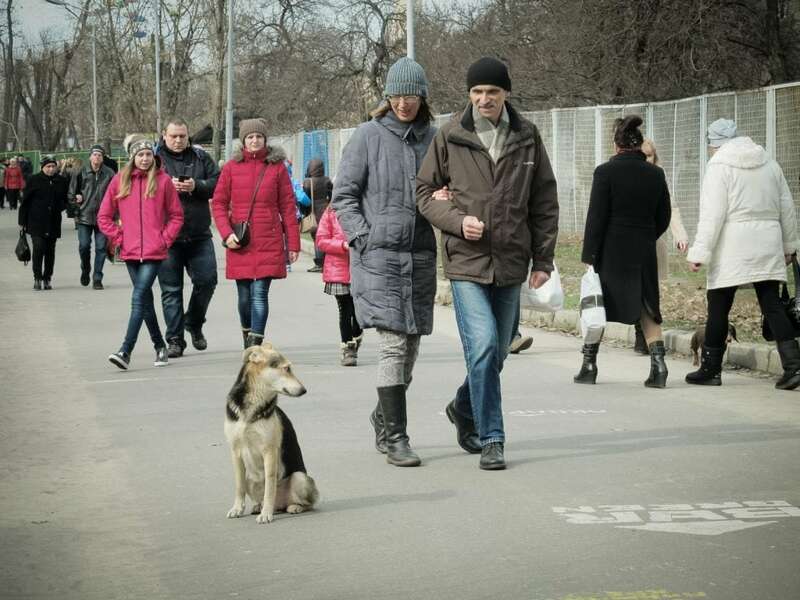 Dnipro, formerly Dnipropetrovsk, is no different. It is situated along the banks of the Dnieper in the eastern part of Ukraine. Dnipro has some new buildings, like the Menorah Centre (for Jewish Culture). 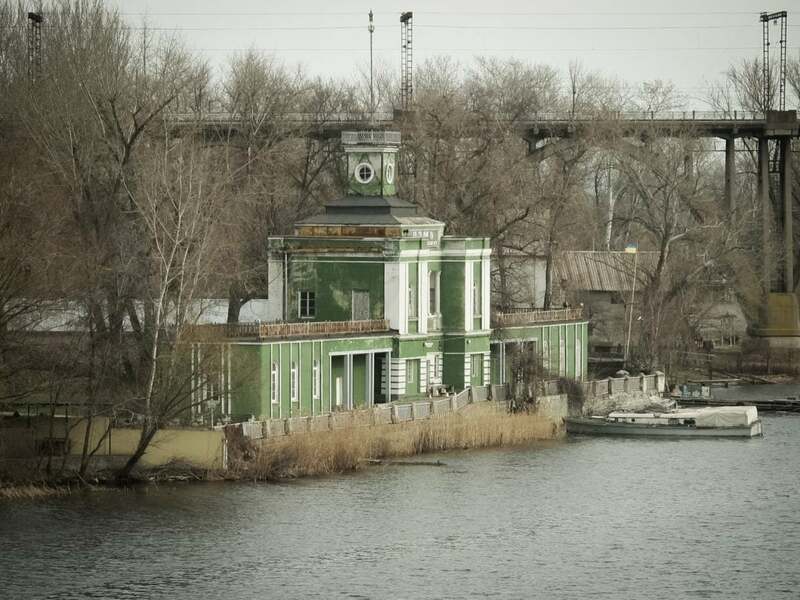 Dnipro has some old buildings, like Potemkin’s Palace, the oldest building in the city. 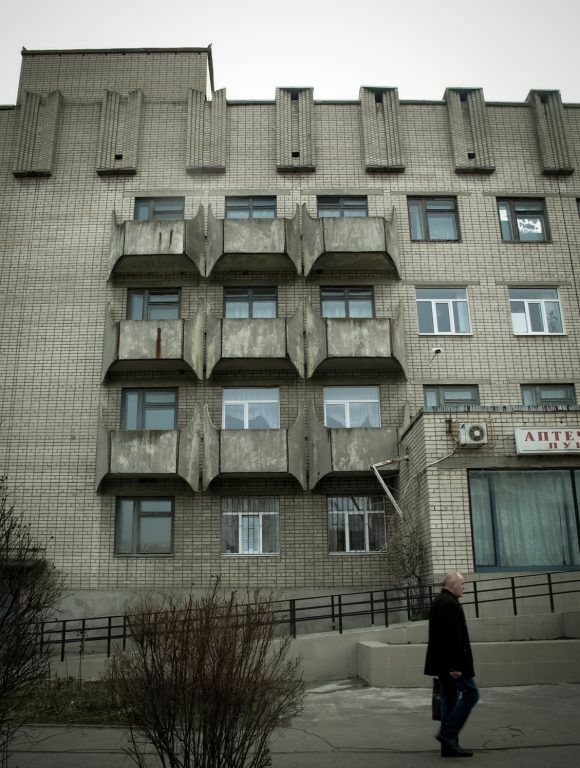 And then Dnipro has its Soviet structures. This is a guide to them. This is a guide to Soviet Dnipro. This isn’t to say that this list is conclusive of all Soviet structures, buildings, and points of interest around Dnipro. These are ones I personally visited or gained interest in. If you walk down Karl Marx Prospect, a long avenue that constitutes Dnipro’s city centre, you will find the entire street saturated with bouts of Socialist Realism from the Stalin era. Trust me, you can’t miss it. 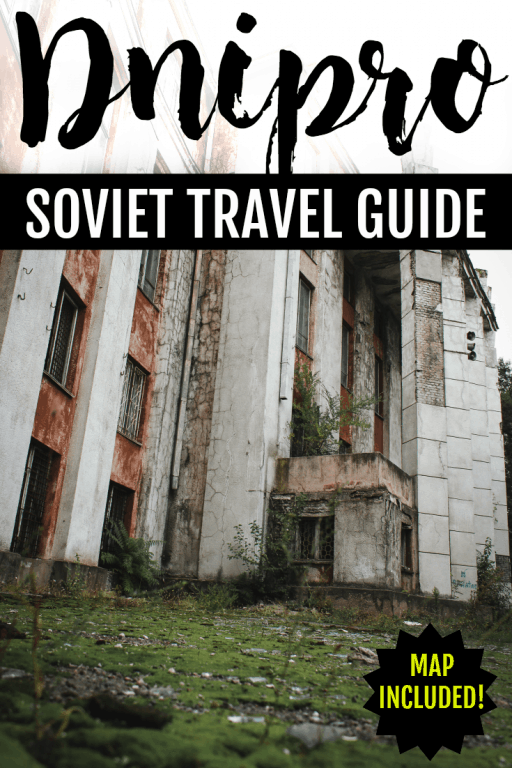 This list is more about showcasing individual buildings/structures and ones I feel are worthy of a visit if you are interested in the history of the Soviet Union or have a passion for obscure architecture. I am not giving out any transportation information on this one as I did with my Kiev guide, simply for the sheer fact that the majority of these are within walking distance of one another. I also did not give specific addresses as some of these are so abandoned that it is just easier to use the mobile unresponsive map (seriously, thanks Google) provided above. What an odd structure this one is. 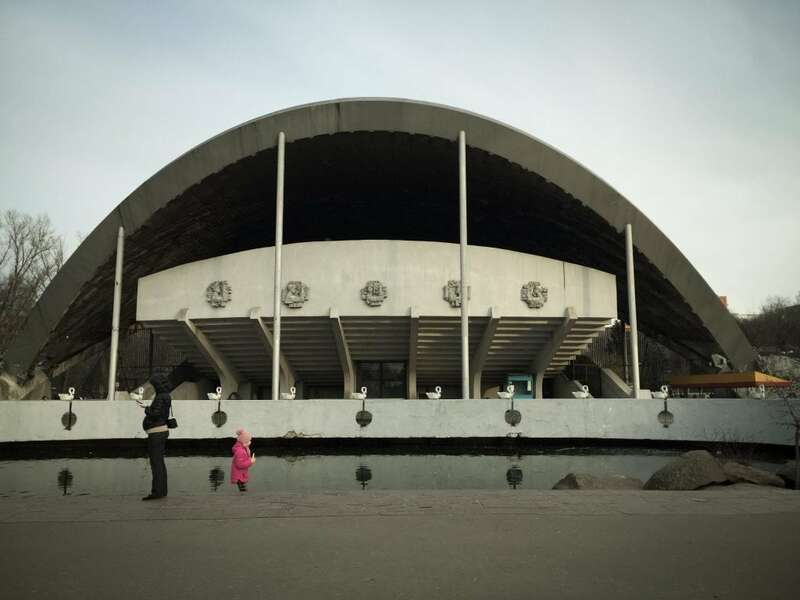 Built in 1978, this theatre is one of the symbols of Dnipro, despite not really being able to find out too much about it from a traveler’s perspective. The locals refer to it as ‘the shell’. The theatre can be found inside of Lazar Globa Park. Soviet architecture aside, this park is worth a visit for Dnipro’s visitors. During the warmer months, you will find cotton candy, cafes, kids running around, theme park rides, a lake filled with swans and little boats, and of course, your standard motorized Hot Wheels-esque cars for kids to enjoy at an affordable price. 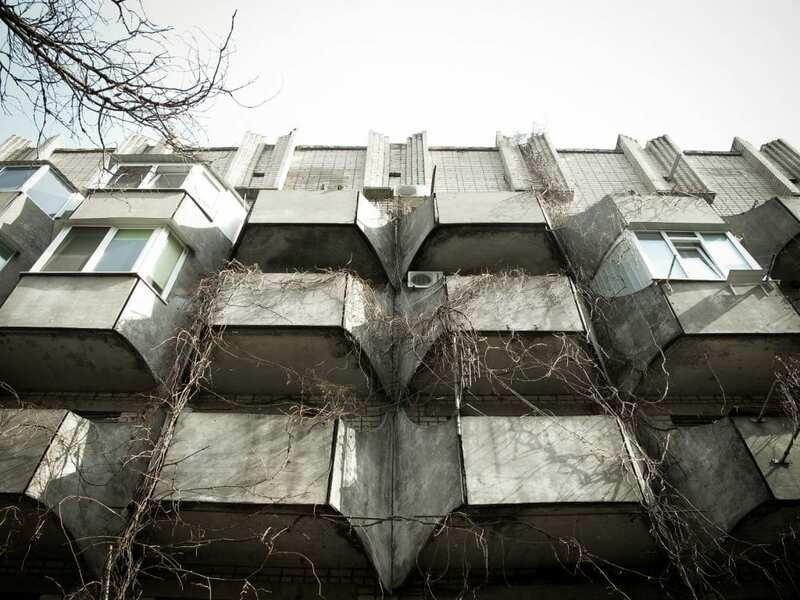 What good would a Soviet architecture list be without a Pioneers Palace on there? 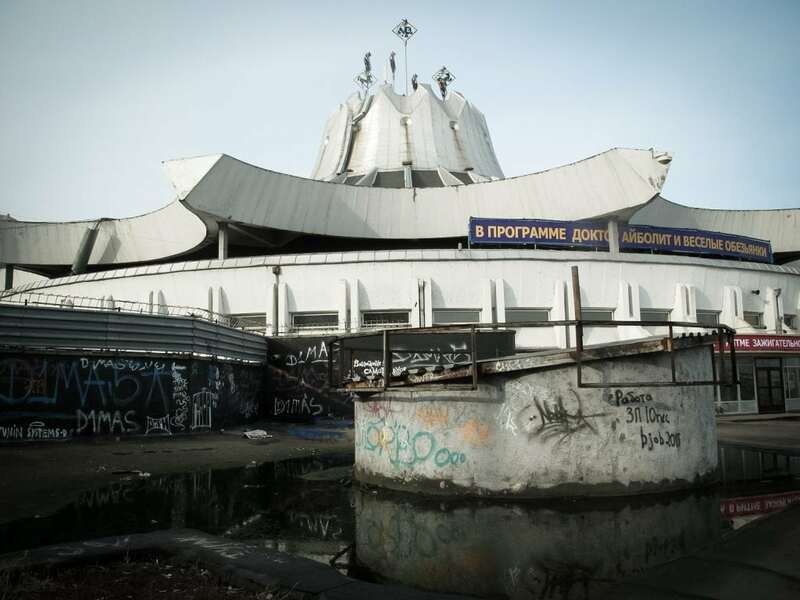 Dnipro’s Pioneers Palace actually is a newer addition to the city having just opened its doors in 1990. I never made it down to the grounds itself, but instead saw it from above with power lines obstructing my view. Next time I am in the city I will get a better glimpse at the place. 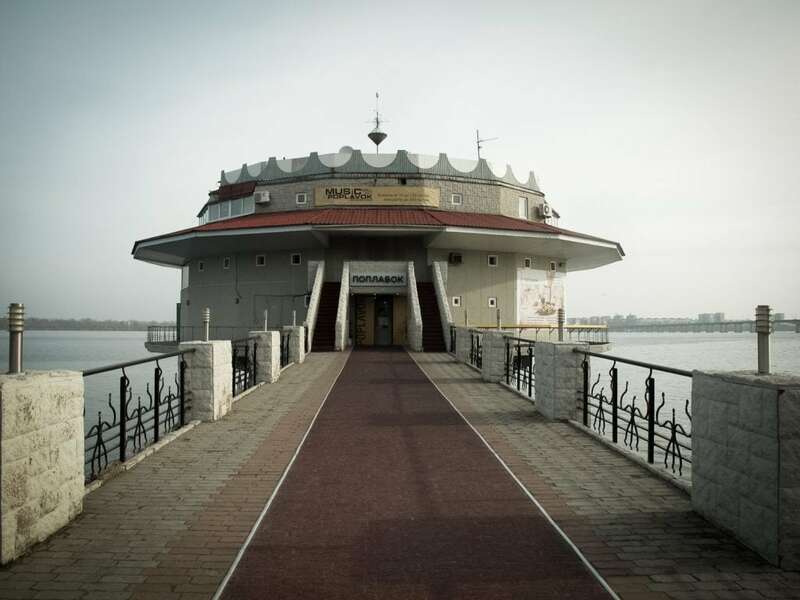 UFO looking restaurant? Check. On an industrial river? Check. Another famed Soviet structure lurking in the background? Check. 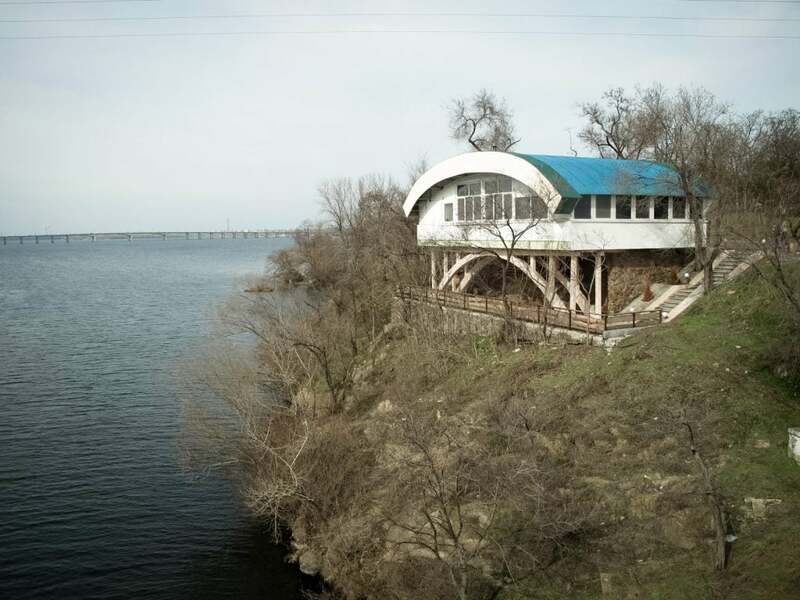 Poplavok Restaurant is a restaurant/lounge that sits atop the Dnieper and is a very renowned place in Dnipro. 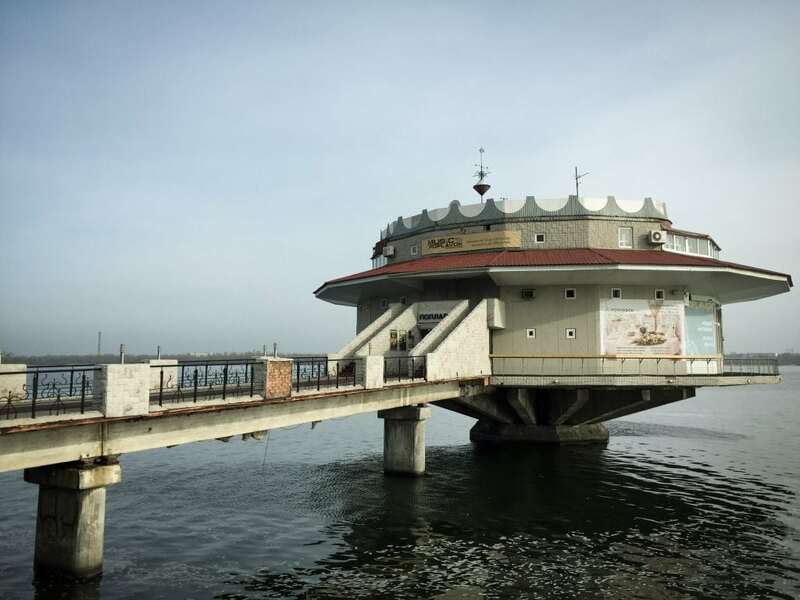 Construction on this restaurant began in 1976 and it is still in operation today. Depending on what side of the restaurant’s pier you stand on, you get a different view. I think I preferred the angle with Hotel Parus in the background. 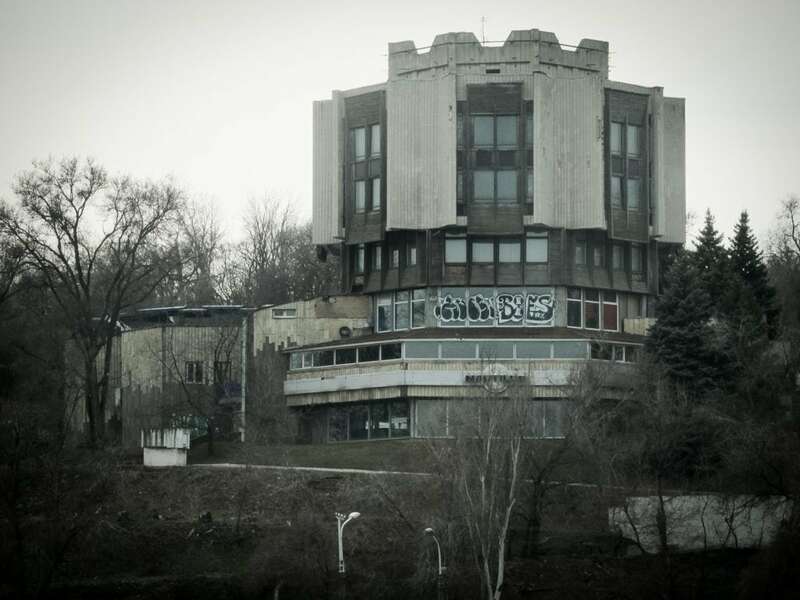 As a foreigner, if I was to envision one building that was a symbol of Dnipro, I would envision this one. 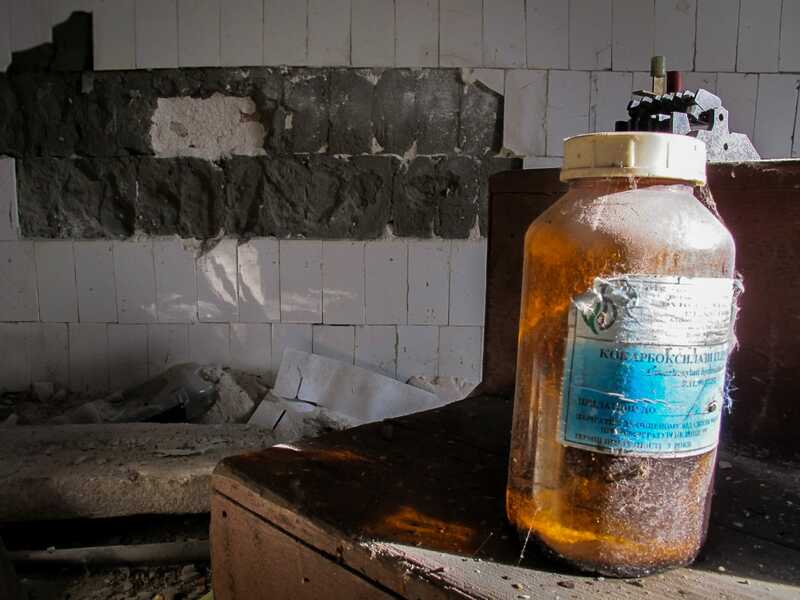 Abandoned and haunting, Hotel Parus stands as a symbol of what could have been for this city. 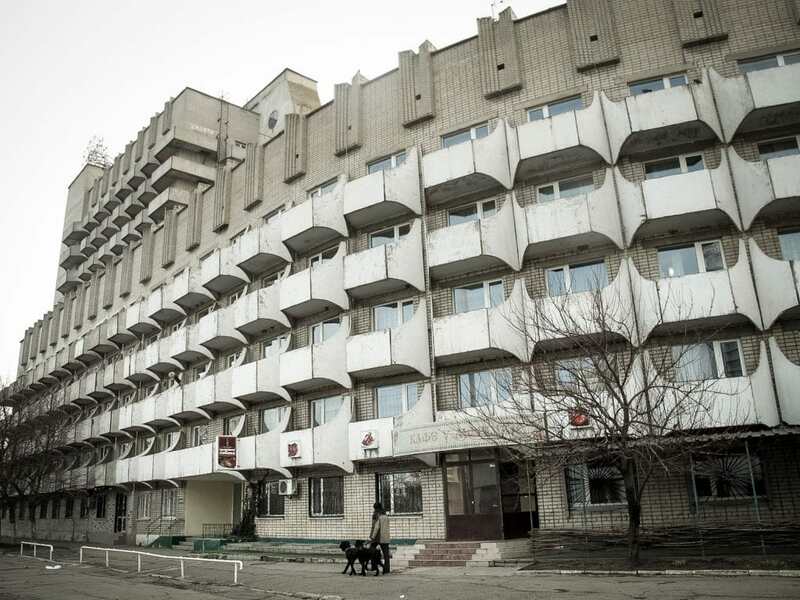 This hotel was built by the Soviets and construction ceased when funding ran dry. 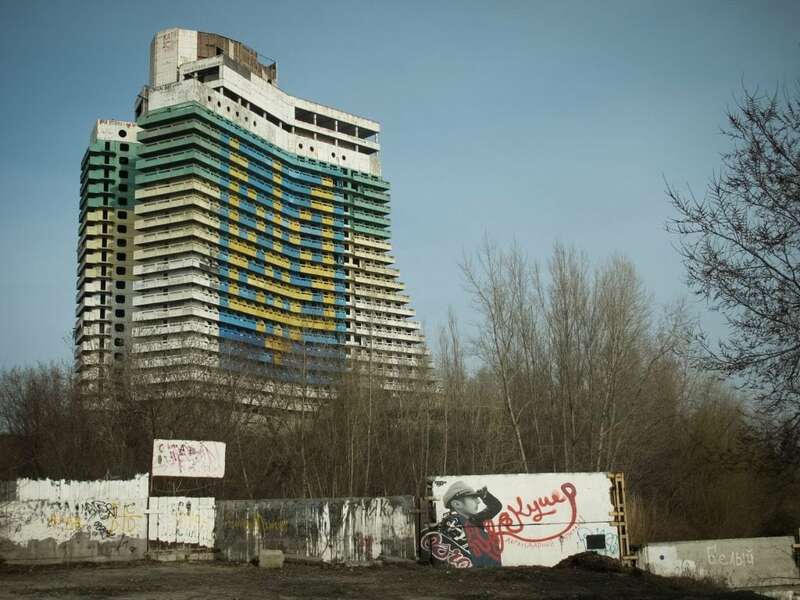 It has been left to rot on the shores of the Dnieper ever since. Hotel Parus was open to the public until just a year or so ago. Evidently, teens went up there to drink and get rowdy and there was more than one incident of a teen falling to their death inside the structure. 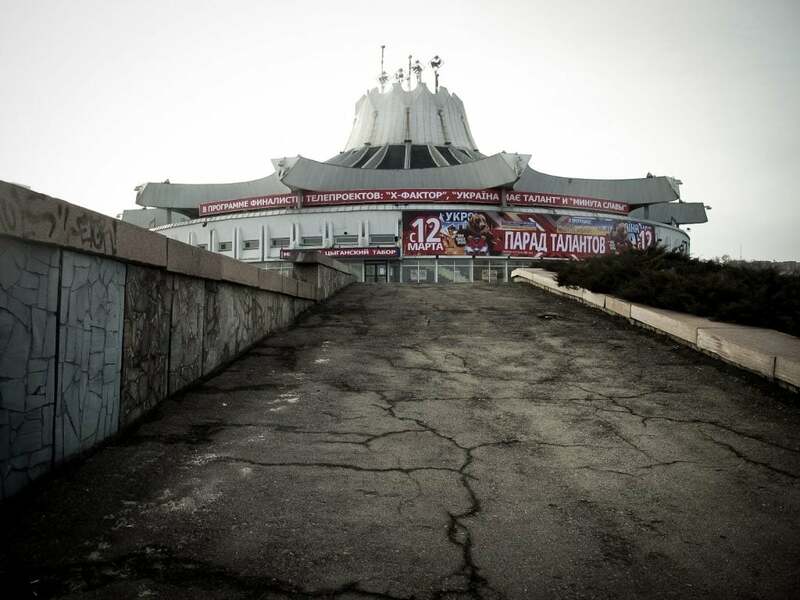 It was also rumored that the Dnipropetrovsk Maniacs took refuge here years ago throughout their killing spree. Taras Shevchenko Park has two parts to it- one is on an island called Monastyrskiy Island and one is on the mainland where the city is. I didn’t explore too deeply on the mainland part but did spend a lot of time on Monastyrskiy Island. It was Women’s Day when I was in Dnipro and the city sure didn’t disappoint with festivals, activities, and celebrations. The park has a church, old restaurants, marina, theme park, etc. In reality, this park and island isn’t Soviet at all. It dates back long before the Soviet Union was even close to being in existence. But, there are remnants of the Soviet Union scattered throughout the park whether it be a restaurant, shashlik joint, ferris wheel, or its zoo. I stopped for a beer inside of an overgrown kiosk and shashlik joint that had a massive mural of Khor Virap in Armenia as its bar backdrop. This island is definitely a can’t miss for an afternoon stroll. I really do not know too much about this building except that you can get a nice glimpse of it leaving Monastyrskiy Island. Once you catch that first glimpse, it will leave you a bit intrigued. 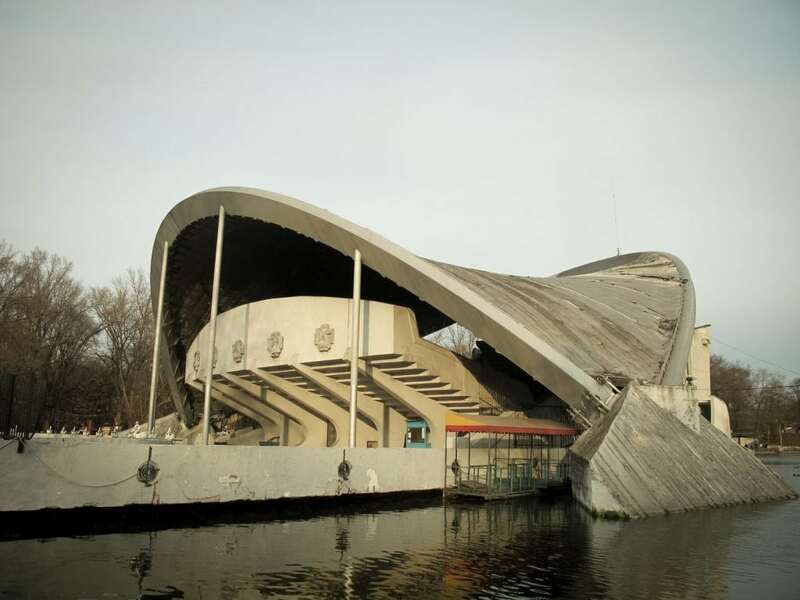 Designed by Elvina Davydova, I actually can’t find information anywhere confirming if this place is still open or not. Some sites give hours for it (daily from 0800-2000) and then others have nothing. I’d be curious to find out when I get back there. 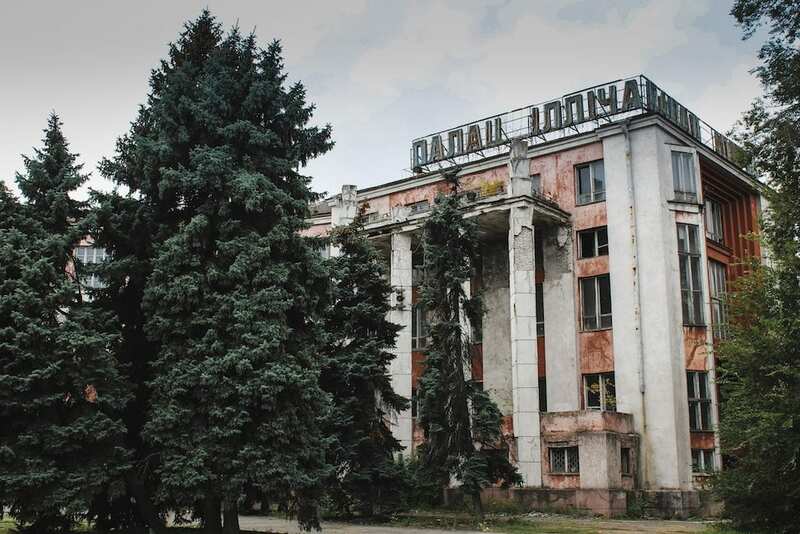 Perhaps one of the better-known sites for ‘zabroshki’, or urban exploration in Dnipro, this beauty opened in 1932 and has been left abandoned and to nature since 2000. It is a common place for locals to visit… it even has its own Instagram account and Facebook page. Atlas Obscura just released a post about it less than a month ago, getting the word out there even more. It is also home to a yearly arts festival called the Construction Festival (the city gives permission for this to occur). Rocket Park is small and there is not much to do or see there. But the reason that Dnipro was closed off during the years of the Soviet Union was that the city is home to missile manufacturer, Yuzhmash. The missiles and parts manufactured in Dnipro were used in the famous Space Race between the USA and the Soviet Union as well as preparation for a Cold War turns Nuclear War. The reason my middle school had bomb shelters was that of what was produced at Yuzhmash (and I’m sure they had something to the contrary in regards to the missile production in my country). 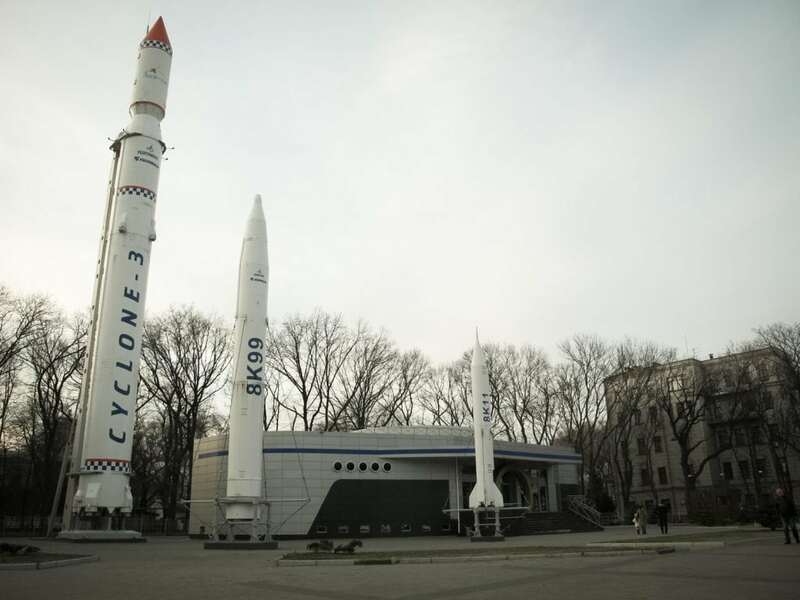 Rocket Park is not located where Yuzhmash is, but rather in the center of Dnipro. Today there are some rockets on display and memorials to soldiers recently deceased from the Russia-Ukraine conflict. 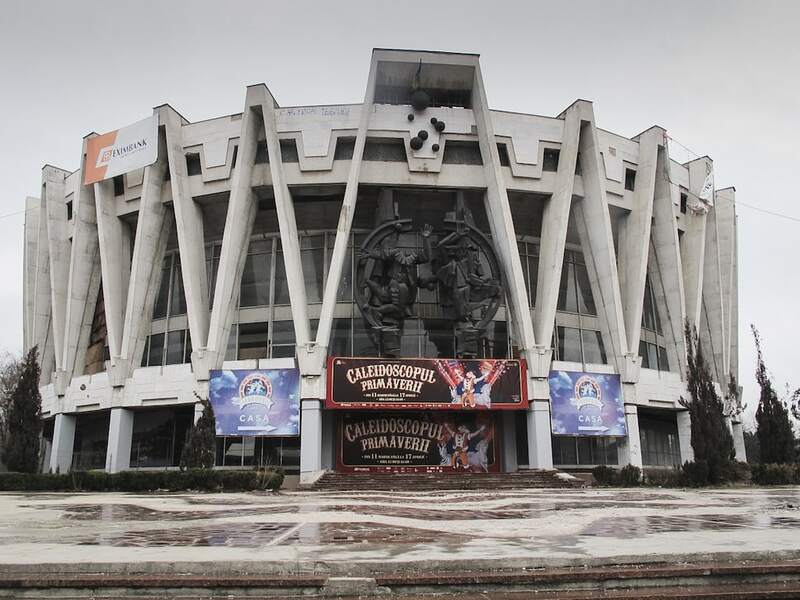 Most people don’t realize this, but Dnipro has two circus buildings. The very famous one is still in use today, but the old one is gated up and has been left abandoned. You really can’t find much information out there about it, and I actually didn’t even know if it was still standing before going on a quest to find it. But it is still there, rotting away. While I would have liked to have gone inside, I am certain it was guarded and I have read that nothing is left of the place and the inside is far less captivating than its outside. The Old Circus building opened with an act from the Belarusian circus on June 23, 1960. The architect behind it was Vladimir Zhukov and it was built in the typical Stalinesque architecture one can find littering Dnipro. 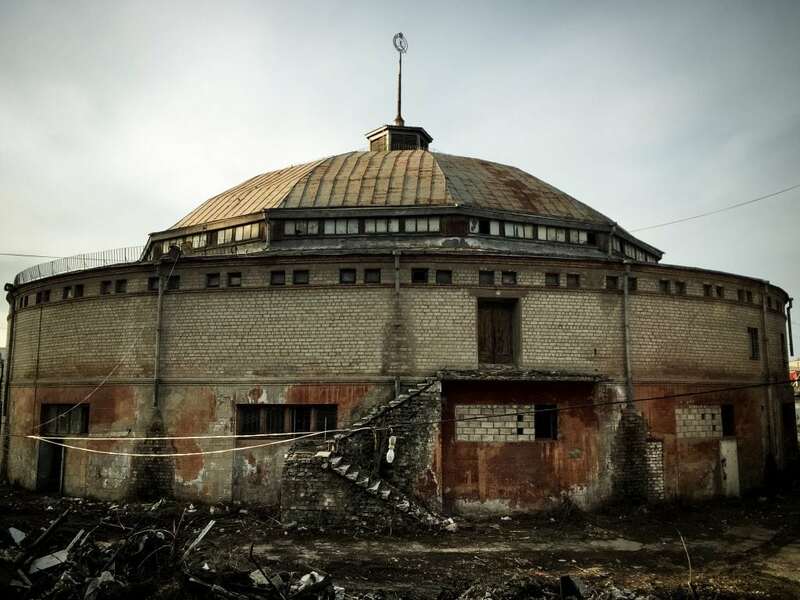 This circus remained Dnipro’s only until 1980 when the new building by the river took over all shows as the old building had no heating and was limited to having performances solely in the warmer months. To read more about it (in Russian), you can click here. You can find the Old Circus in front of the city market “Ozerka”. 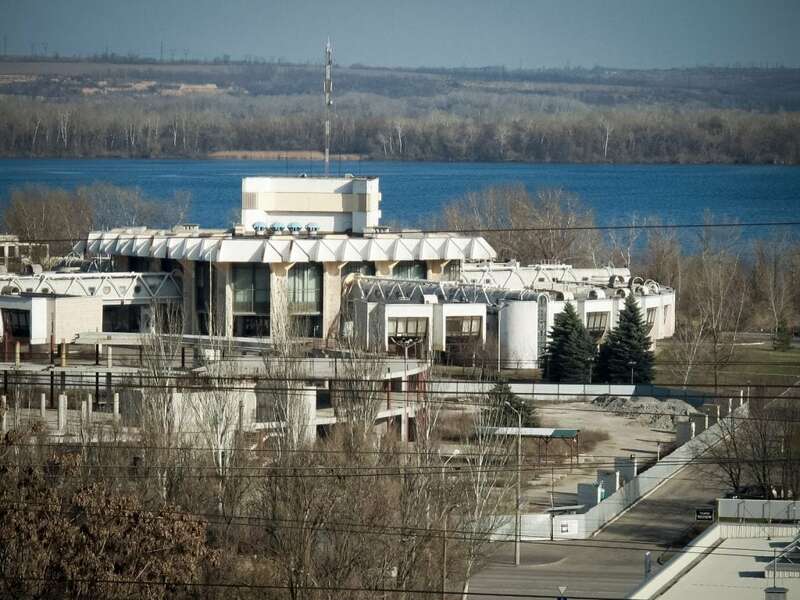 The new circus building in Dnipro opened in 1980 and is still in use today. It has a capacity of 1,914. 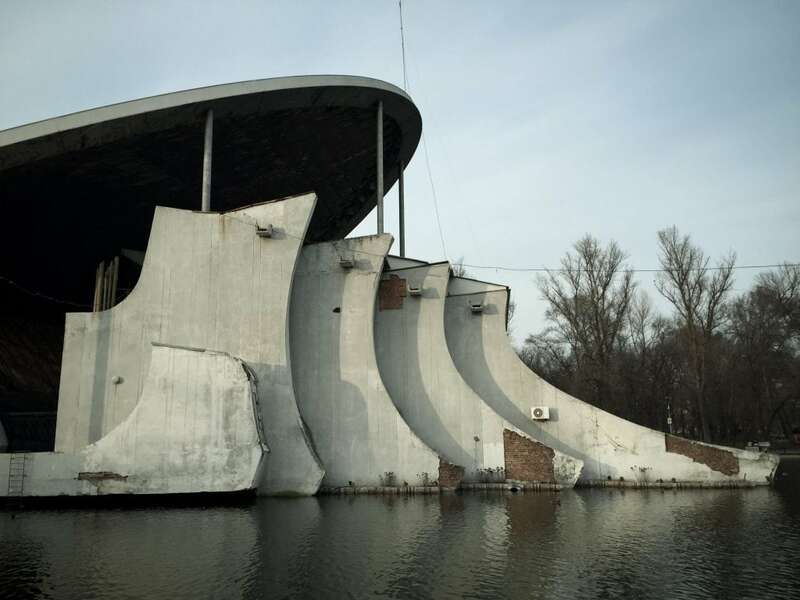 A construction project that began in 1985, this very brutal structure was the brainchild of Oleg Tchmona and is situated directly beside Dnipro’s new circus building. I have to admit, I had no idea what it was, but it fascinated me. I stayed next door to it and saw it nearly six times a day when in Dnipro and grew more and more mystified by it. I found that I was more into this building than the new circus building itself. 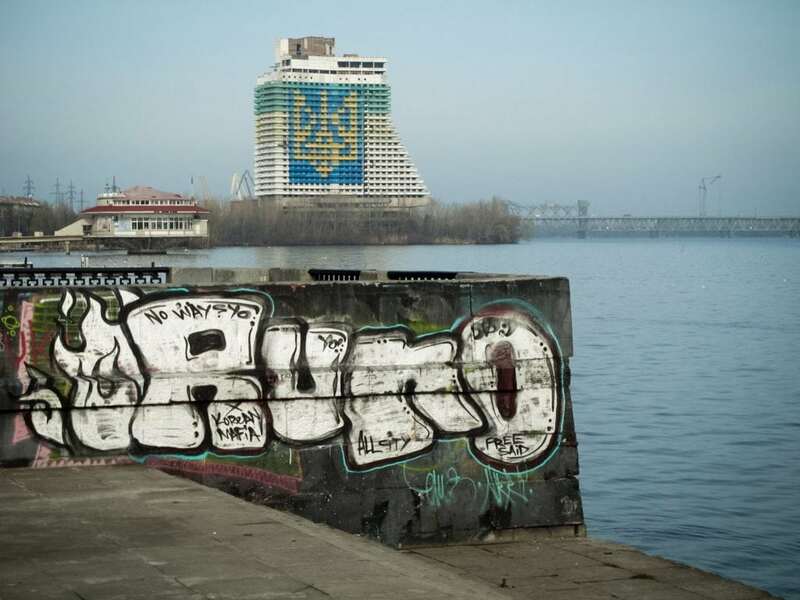 Dnipro is completely overshadowed by Kiev, and rightfully so. Kiev is one of the greatest cities I have ever been to and there is a plethora of things to do in Kyiv. Nothing in Ukraine compares. But, Dnipro definitely warrants more tourism than it deserves. 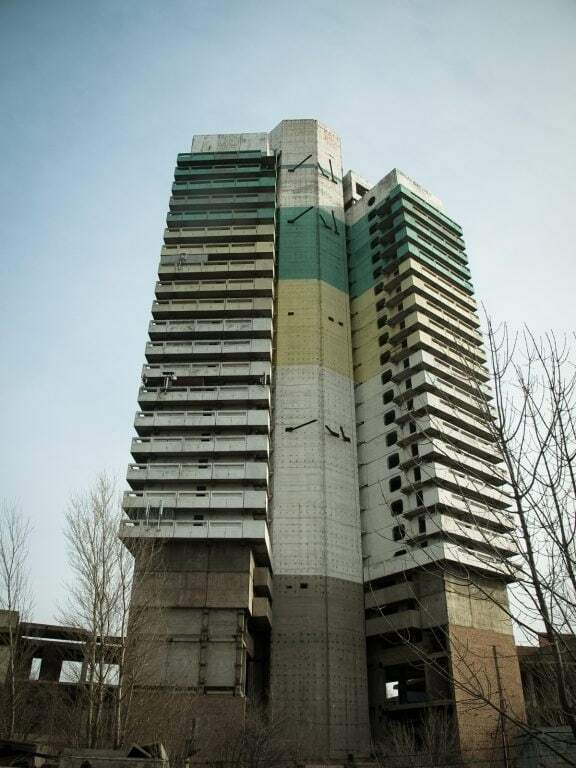 Soviet architecture enthusiasts will have a field day there. There is definitely a cool, modern, and hip side to the city, on the other hand… and I plan to write about that soon. 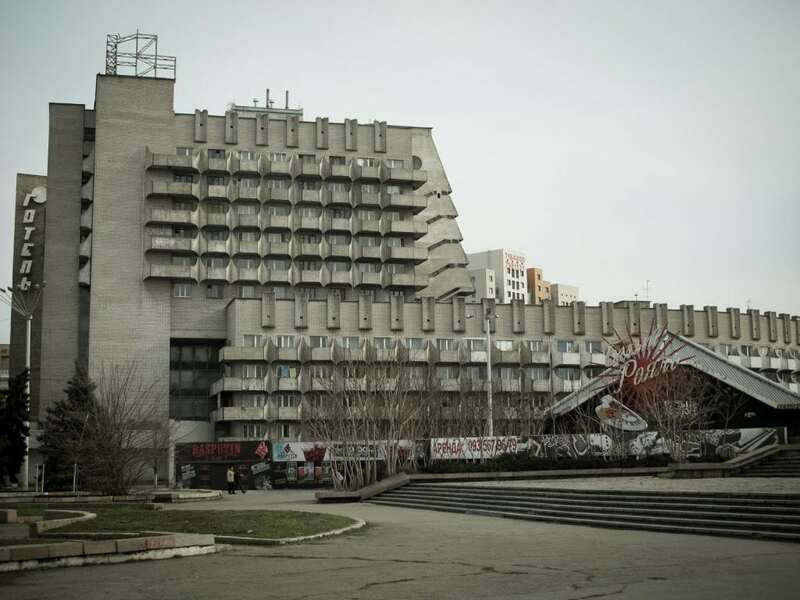 In the meantime, I hope that if you’re into Ukraine and Soviet Modernism that this post finds you well. If you have any updates or places to add to this list, please share below in the comments! Yessss this is so my jam. Love that circus performer dorm. Literally foaming at the mouth reading this post and looking at those buildings. Your blog is like peering through a Soviet window. Love it. Oh man, I have got to get back to Ukraine! So much fascinating history and architecture! Please report back if you attend the circus on your next visit! I want to cry at how much this post makes me want to visit Dnipro! I think it surprises me how different cities can look from each other but how much they vary in themselves. At least in Russia you have European, modern, and Soviet all together. Moscow is even more diverse. This post, and your Ukraine coverage in general, is showing me how much of a oversight it was to only visit Lviv when i was in Ukraine this spring. Looks like I’ll definitely need to be making a return visit.